*This post has been updated from the original version published in November 2010. I have been craving this soup lately! I guess that I needed some extra carbs in my diet:) I’m a believer in healthy carb diets that consist of loads of vegetables, whole grains and fruits. Potatoes contain nutrients that are good for you, like Vitamin C, calcium, potassium and fiber. You don’t have to eliminate white potatoes and eat only sweet potatoes as part of a healthy diet. I love eating white, yellow, purple, red and sweet potatoes, especially in a post-workout meal when my body needs to replenish glycogen stores. 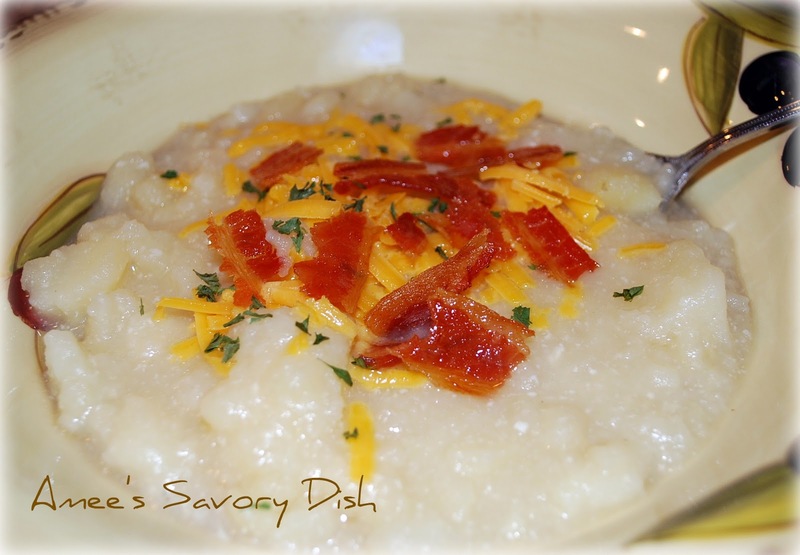 This is my FAVORITE potato soup recipe from an old Irish cookbook. I modified the recipe to a lightened-up version for the slow cooker. Easy peasy. It’s also really simple to convert this recipe for the Instant Pot. Taste of Home has a simple guide to convert any slow cooker recipe to an Instant Pot recipe. This simple soup recipe is straight from Dublin, so you know it has to be good! I did change it up a bit to cut the fat and calories, but it’s still incredibly delicious! 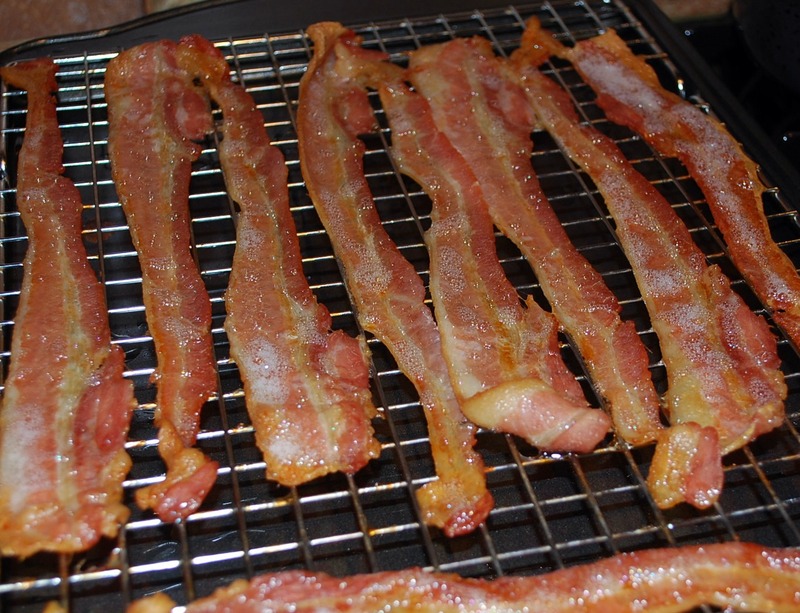 I love to bake bacon in the oven (no greasy mess!) 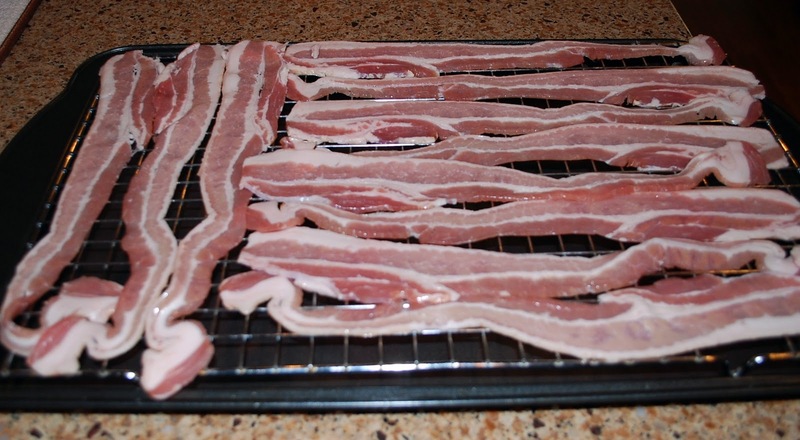 Cook bacon at 400 degrees in a baking pan fitted with a rack (for drippings) for 15-20 minutes. Cook until it is crispy, but not too done. Bacon is ready to crumble and set aside for your soup topping. 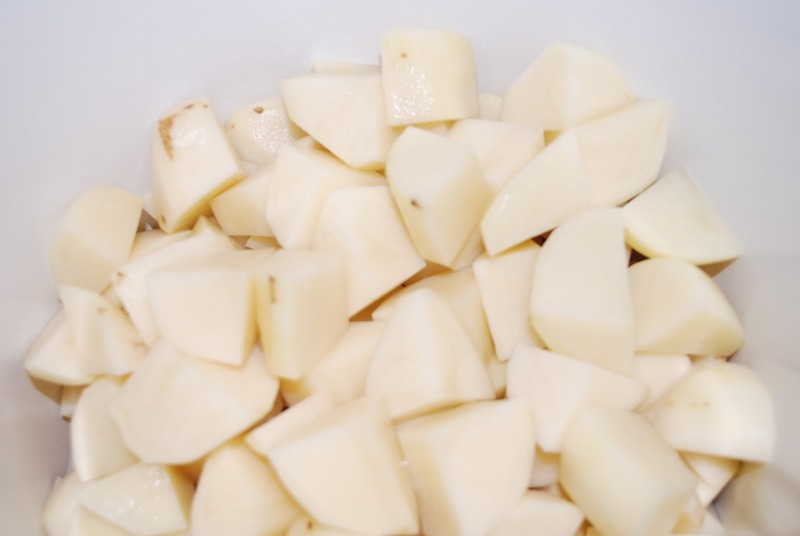 Peel your potatoes and dice them into fairly large chunks. Melt the butter in a sauté pan over medium-low heat. 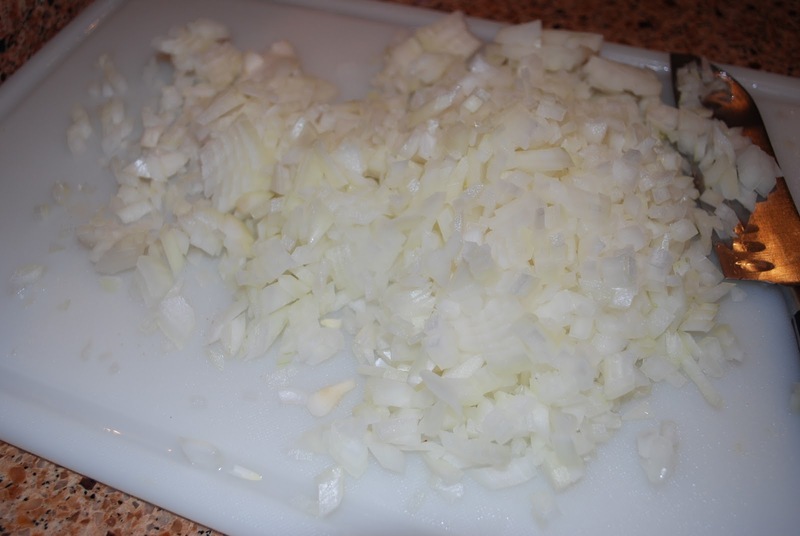 Add onions and cook until clear, but do not brown. 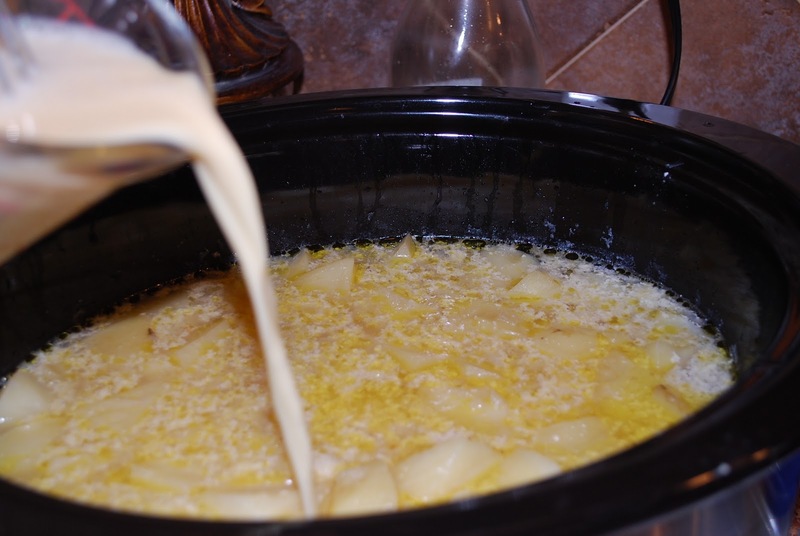 Next, add all of the ingredients to the slow cooker, reserving 1 cup of milk and the cornstarch. Cook 4 hours on low heat. Whisk cornstarch into the reserved cup of milk (milk should be cold) and add to soup. Pour soup mixture into a stockpot on the stove and cook on low heat for 10 minutes to thicken. 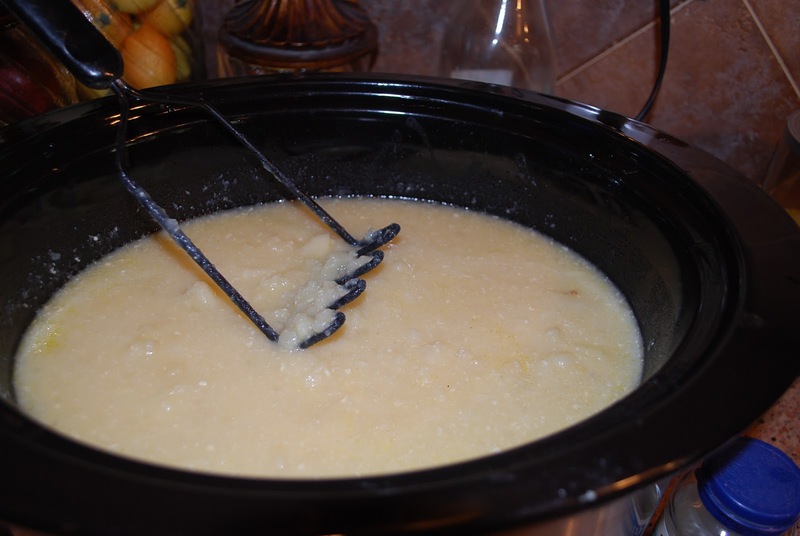 Use a potato masher and gently mash potatoes until it’s creamy, but still has some small chunks of potatoes. I like to use an immersion blender here, leaving some chunks of potatoes for more texture. Ladle into bowls and add your favorite toppings. I love freshly grated sharp cheddar, a few pieces of bacon, parsley, scallions and salt and pepper. A great comfort meal. Another slow cooker soup favorite is Southern Ham Vegetable Soup. I make it every year around the holidays. It’s the best way to use up a ham bone! Love your lightened version ! Pinned !